When we polled Paste editors, staff writers, and contributors on the best TV shows of 2017, more than 60 series received at least one vote—already a slim 15% or so of the total number of original scripted series to air this year. To narrow that “shortlist” to 25 titles was an almost impossible, often thankless task; an alternate list, made up entirely of programs that missed the cut, would still keep you entertained for a good chunk of next year. Still, what follows is, we hope, a worthy slice of the “peak TV” pie, one that ranges widely across a flourishing medium. From midcentury crises to dystopian futures, the afterlife to the Red Keep, the sitcom soundstage to the (near) end of the world, our ranking may not be yours, but it is an annual reminder that we are, truly, in a remarkable age for television, golden, platinum, or otherwise. 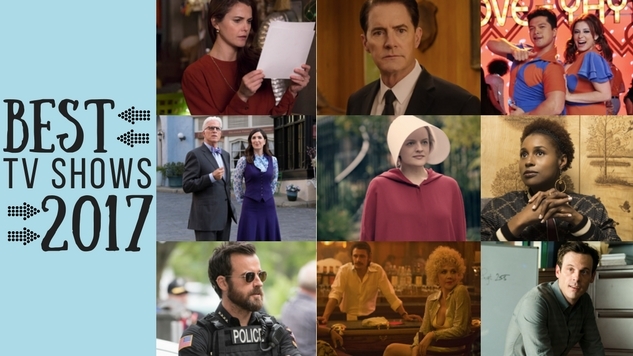 To crib from one of our selections, it is happening again: Paste’s list of the 25 best TV shows of the year.